Situated just out of town, on the road to the airport, the Lodge is able to enjoy a tranquil atmosphere, much to the delight of our current 9 residents of which half are Jewish. Due to the harsh economic climate in Zimbabwe, we found it necessary to open our doors to other denominations, who are equally happy to enjoy their retirement at our home. The foyer is warm and welcoming, leading out onto the patio, which overlooks the wonderful secluded sunken garden, designed by a long-standing resident. The average age of the residents is 90 years, which is no mean achievement in any environment, and we pride ourselves in accomplishing this, which can only be attributed to lack of stress, loving care and nourishing food from the kosher kitchen. As well as three meals, a day, afternoon tea is usually served with freshly baked cakes or cookies. Birthdays, of course, are always a time for celebration. Special meals are prepared for Chagim – the Pesach Seder is the piece de resistance! Our verandah is converted into a Sukkah and many memorable meals have taken place there. 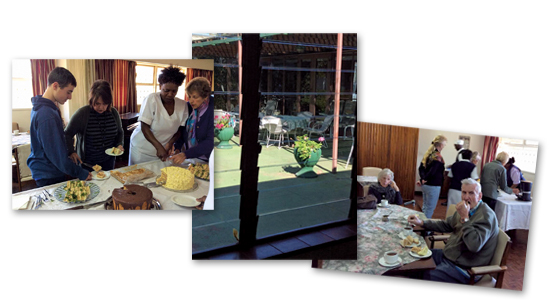 Savyon Lodge, the only Jewish retirement home in Zimbabwe, situated in Bulowayo, is probably the apple of the Jewish community’s eye, with impressive furnishings, paintings and an aura of peace and serenity. In 1960, it was decided to establish a home for the elderly residents of the Federation. 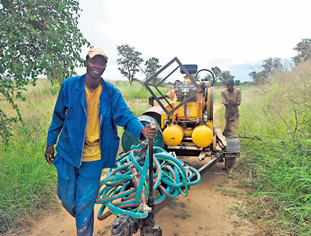 The land was allocated by the City Council of Bulowayo in co-operation with the Trustees and Executive Councils of neighboring old age facilities. Government funding and money from the State Lottery Trustees was made available, and Jews throughout the country sent support pouring in. Plans were drawn up and an interim committee, under the chairmanship of Ellie Zacks, was appointed and given authority to proceed. 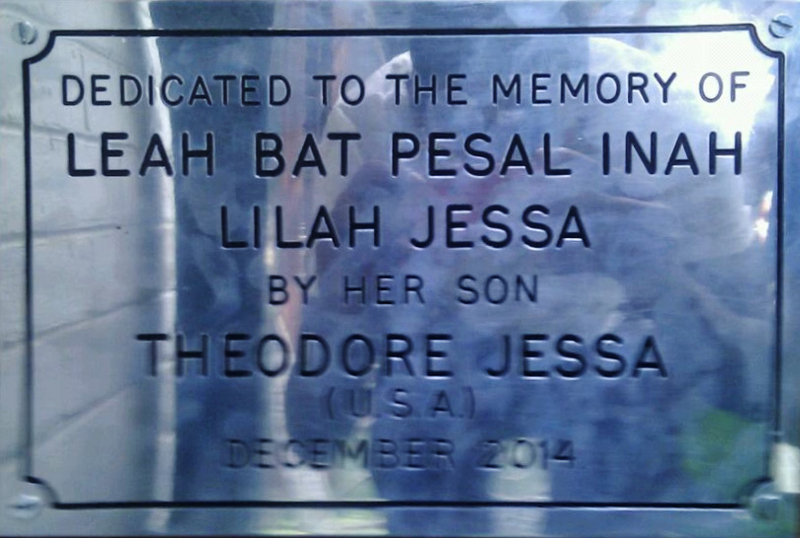 However, work on the first stage only commenced in 1966, with the foundation stone being laid by Mr Zacks, who was by then, President of the home. The first stage of the home was initially completed in 1968, after thirteen months of hectic activity. Finally, in 1976, when room was made for a further 26 persons, accommodation had risen to 45. Tea and Commitment in Zimbabwe Savyon welcomes the Zimbabwe community to a delightful tea every Thursday afternoon, next time you are in town please join them! We reached out to Ted, one of our consistent and dedicated American donors to find out what inspired him to support a Jewish Institution so far from his home. He quoted the Torah verse Leviticus 19:32 "You shall stand for the hoary hair head and respect the face of the elder, and fear your God, I am the Lord." When asked why specifically Savyon Lodge he said “My interest in Zimbabwe stemmed from personal research into the history of Rhodesia where I discovered her Jewish community. 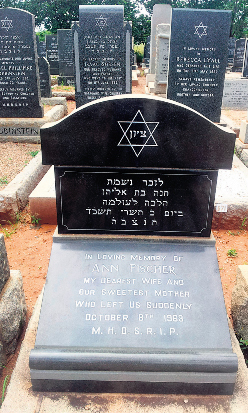 Upon learning of the remaining members of the Zimbabwe Jewry, and the continuing economic hardship endured by the country's pensioners I wanted to contribute in some way to the kahal (considered the local governing body of a former European Jewish community administering religious, legal, and communal affairs).” Ted continued to say that “while it seems my efforts alone are insignificant, they become greater combined with the efforts of others.” Savyon Lodge had a plaque made in his honor for his consistent and continued support of the Zimbabwe Jewish community. A Daughter Offers Gratitude Dearest Staff of Savyon There is continual bad news coming from your side of the world, and because of this, many of my friends question me about the wisdom of our keeping my Mom at Savyon. I spend so much time explaining how well off my Mom actually is at Savyon. 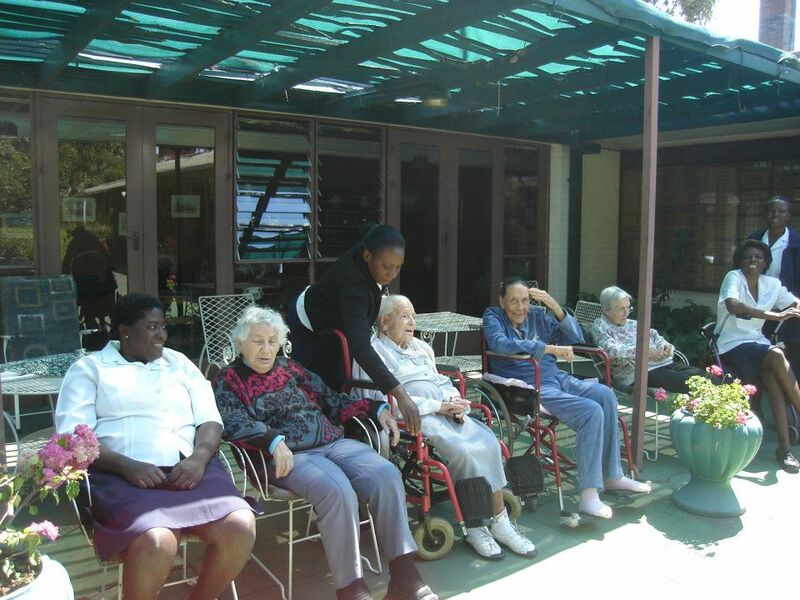 I tell them about the exceptional care, the delicious meals and teas, the beautiful surroundings and tell them about all the wonderful people there are at Savyon in particular, and in Bulawayo.I certainly tell all that there is no other place here that can compare with Savyon Lodge. And I make a special point of saying how happy and settled my Mom is at Savyon. I quote my Mom when she says that she is so well looked after at Savyon, and that she has such good friends there. I also remember fondly a very special and spiritual Rosh Hashana meal that we had at Savyon. So I thought that I should tell you all, I know how stressful it is for you to run Savyon Lodge, with all that you have to do, and be involved with. It is time for me to remind you how very grateful we are that our Mom is at Savyon, and to thank you from the bottom of our hearts for all you, and the staff of Savyon do for all the residents. I will be in touch soon. Fondest love to you all. 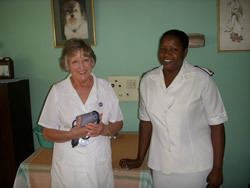 The health and well-being of the residents is of paramount importance – they are under the care of a trained nursing sister, who distributes their medication during her daily rounds. She is on call 24 hours a day, should the need arise. Zimbabwe as a whole suffers from very erratic power supplies and experiences daily outages of up to 12 hours. 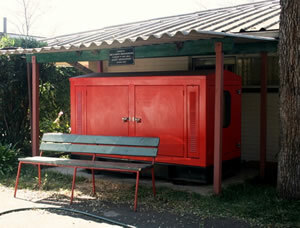 Savyon Lodge is extremely fortunate to have been donated a very large and powerful generator by the Hon. Abe Abrahamson. This ensures that the residents are never inconvenienced by a lack of electricity and the home is able to run efficiently at all times.